Why Do Out of Province Vehicle Inspections Fail? If you’ve purchased a vehicle from outside of Alberta, you will have to get an Out of Province Vehicle Inspection. Edmonton automotive shops like Revolution Motors offer vehicle inspections that get you one step closer to registering your vehicle in Alberta. In fact, the registrar will not register your new car or truck until it has passed an Out of Province Vehicle Safety Inspection and you have the proper documentation. It is required because Alberta Transportation’s standards of safety are different than many other provinces. In essence, inspections are important to ensure the safety of everyone on the road. Revolution Motors will also check to make sure that the vehicle’s structural integrity is not compromised. Revolution Motors will look for signs that indicate the vehicle has been in a major collision or that it has undergone damage and/or substantial repairs in the past. Corrosion in the body and frame will also be considered. Surprisingly, the most common reasons vehicles fail Out of Province Vehicle Safety Inspections are usually not major mechanical issues and can be relatively easy to fix. Before you bring in your vehicle for an inspection, there are some things you can check yourself. Inadequate windshield wipers are reason enough to fail an inspection. It seems minor, but compromising your visibility is compromising your safety. If your wiper blades aren’t working well or they have obvious tears or chips, replace them with new blades before bringing your car in. Again, simply replacing a headlamp can make the difference between a pass and a fail. Walk around the vehicle with the lights on and have someone turn on your indicator lights, hazard lights, and press the brake. You can replace the lights affordably and easily before your out of province vehicle inspection. A windshield replacement isn’t as inexpensive as wipers and lights, but if your glass is in bad shape, the vehicle will not pass the inspection. If your brake pads or shoes are long due for service and are worn down too far, your vehicle might not pass inspection. Having reliable brakes is obviously important to safely operating a motor vehicle. Our trained and professional technicians here at Revolution Motors can quickly repair and replace your vehicle’s brakes. If the tires on the vehicle have little to no thread, it will not pass an out of province vehicle inspection. Revolution Motors can provide a selection of tire and install them for you if the vehicle needs them. There’s a problem. You just don’t know what it is! Revolution Motors can run a computer diagnostic on it for you to determine what it is. Since you won’t know if the issue is mild or severe until the diagnostic is run, we can’t pass our vehicle if that light is on. It is required by law, but an out of province vehicle inspection in Alberta would still be a smart move regardless. Having it looked over by a professional technician will let you know what problems you might expect with the vehicle and gives you the opportunity to do some preventative maintenance on it. Most importantly, it will help ensure your safety and the safety of others on the road. Afterwards, Revolution Motors can offer a quote to get any required work done and make some recommendations to improve the vehicle’s safety and performance. 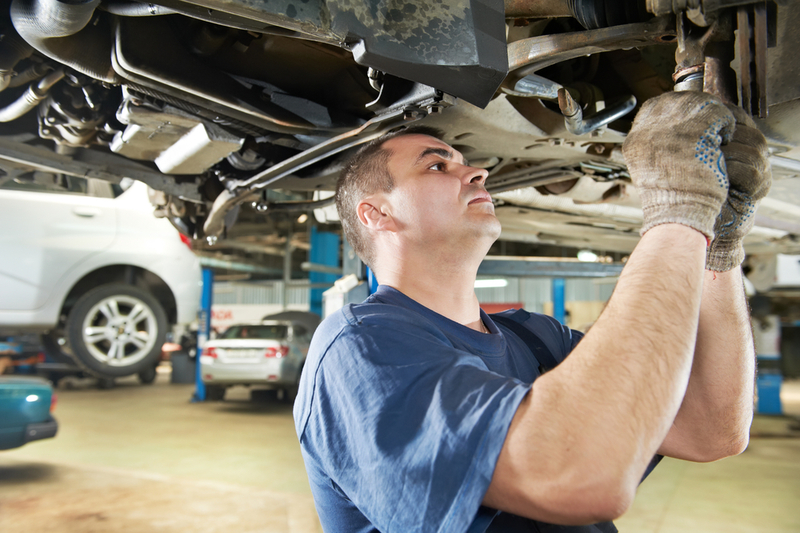 This will result in avoiding more serious and expensive repairs down the road and extending the life of your vehicle. Ready for your Out of Province Inspection? To book, you can call us at (780) 761-1800 or book online now!